Sumac leaves were resist dyed onto this sheer silk organza scarf. 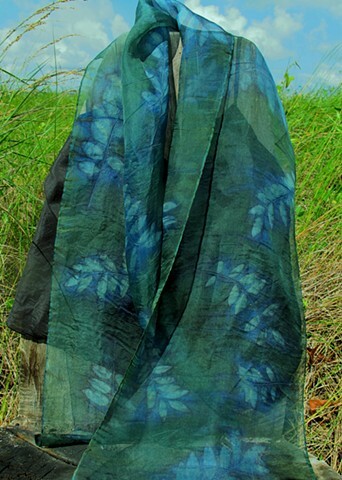 If blues and greens are your favorite colors to wear, you will love this scarf. The sumac appears to be floating throughout the scarf, and the silk organza lends itself to such a beautiful weight to wrap around your neck.